Today marks the first time in four years that we don't have an overabundance of pictures to pick from for a monthly photo post. So, this entry is going to be about music instead. Two months ago, we both got instruments and started taking lessons. Tara is learning to play the violin and I am playing the cello. It's hard, but we're hopeful that we'll be able to play beautiful music together in a few years! Bravo pour vos excellents débuts!! You really rock the woods! Great music. I started reading your blog because of the cycling. As a cellist, I have no choice but to continue reading. Keep at it! Should of gone with a baby grand piano,you could make it work. 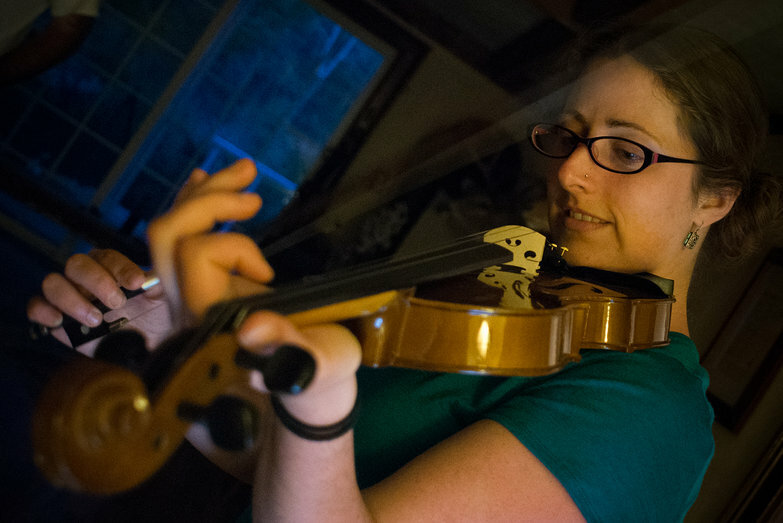 Tara: classical violin or fiddle? 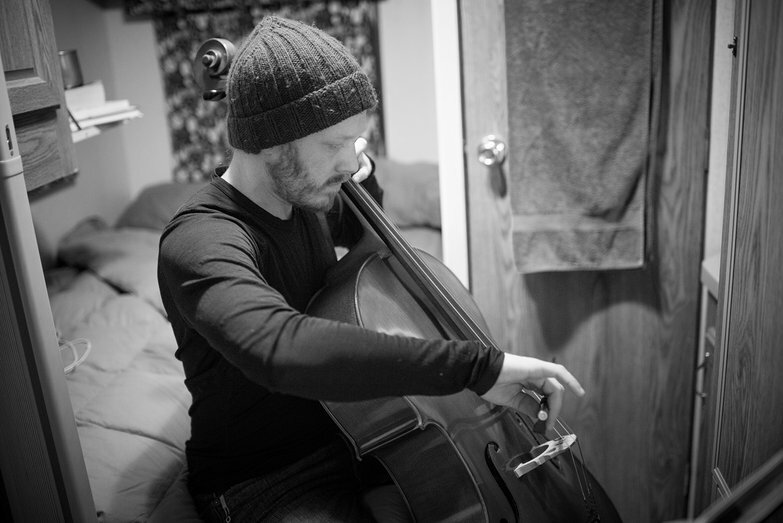 Tyler: classical cello or ...um... folk-style cello? Bruce-- Tara and I both cracked up when we read that! Nick - I want to be a Celtic / old time fiddler, but I'm starting with a classical foundation. Cool! Between you two learning to play your instruments and my dad learning to pick the banjo (and my brother learning to play mandolin), I've been feeling fairly inspired to start back up on trying to learn to pick the banjo. Tambra-- I'd never heard of them but that video RULES! Tara and I just spent like an hour learning parts of that intro. <3 that song (and show).